Happy Anniversary to Rookie Mommy PH! 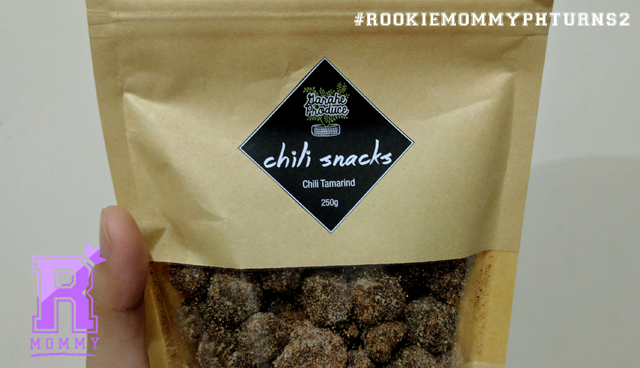 As my way of saying thanks for your never ending support, and for being part of our exclusive community for rookie moms - First Time Moms Philippines, We'll be giving away 3 250 grams pack of this overly addictive chili tamarind from Garage Produce! Giveaway is open to both Metro Manila residents only. Giveaway is open to the members of First Time Moms PH only. Winner will be drawn via random.org and will be notified through the email address that you gave below. Winner will be announced by November 25, 2016, Friday night. There you go! Hope you have fun, and thank you for your continuous support! Rookie Mommy PH - Happy 2nd year anniversary to Rookie Mommy PH! 12 comments on "#RookieMommyPHTurns2 Giveaway: 3 Pack of Chili Tamarind from Garahe Produce"
Congrats! you won via randomizer :) Sent you a facebook pm. Thanks!